Words by Kevin Doocey on May 22, 2012 . 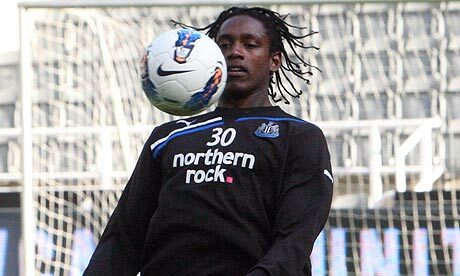 If one was to look at Nile Ranger’s CV, it doesn’t make for bad reading at all. Once of Southampton, he featured in Newcastle United’s promotion to the Premier League, and this year contributed to Sheffield Wednesday’s return to the Championship. Unfortunately he has the attitude of a gangster and is still surrounded by people he could do without. While at Newcastle last year, Alan Pardew had multiple complaints about the striker’s behaviour and how he conducts himself as a footballer. Showing up to training late; assault charges; drink driving offences - he’s not the type of player Newcastle United will keep on their books for very long, unless there is major changes. There actually were improvements on Ranger’s behalf, but he was shipped out to Wednesday on loan for some first team football. It’s quite unlikely that he’ll feature in a Black and White Newcastle shirt again. The frustrating thing about it all is that he has raw potential that could make him a very good Premier League centre-forward. He has the height, the strength and the pace to cause havoc to defences across England - providing he is coached correctly. If however, he doesn’t mature any time soon then he may well be without a half decent club. It’s unknown whether Sheffield Wednesday have an interest in keeping him full-time but I’m sure Newcastle United would be happy to sell at any respectable figure at all. A fee had been agreed with Blackpool last season in the region of £1.5m but the player himself didn’t fancy a move to the Seasiders so he stayed put. Of course with the arrivals of Demba Ba, and Papiss Cissé at the club, Ranger stands zero chance of breaking into the first team and would be bottom of the pecking order, behind Shola Ameobi and Leon Best. It is no secret that Llambias and Ashley would like rid of the Londoner but offloading him has proven a tough task. Personally, I’m disappointed with Ranger, mainly because I know what a talented striker he can be. We saw glimpses of his potential under Chris Hughton, and in the early days of Alan Pardew - especially against Arsenal. Away the Emirates Ranger came on to help protect a 0-1 NUFC lead. He held the ball up well, and in a burst behind the back four, Laurent Koscielny brought him down and saw red. It ate up valuable time, and helped Newcastle United secure a memorable win over the Gunners. In the return game, it was another memorable game with Newcastle and Arsenal playing out arguably the most entertaining Premier League game of all time. Ranger came off the bench to have a hand in at least 3 of NUFC’s 4 goals in the comeback and put it on a plate for Nolan to make it 5-4. Unfortunately Nolan struck it just wide of the post. Anyway, we saw what Ranger was/is capable of, but since then he hasn’t featured at all and you wouldn’t be far off in guessing his career with the Magpies is over. What would you do with him? Give him another chance? Loan him? Sell him? I think were going to buy him. Dave jones realy rates him he tried to take him to cardiff apparently. That wouldn't the worst option at all Philip! loan him again, this time for a season long. if he doesn't improve his behavior, then try and sell him off.